Rock-crystal vase. 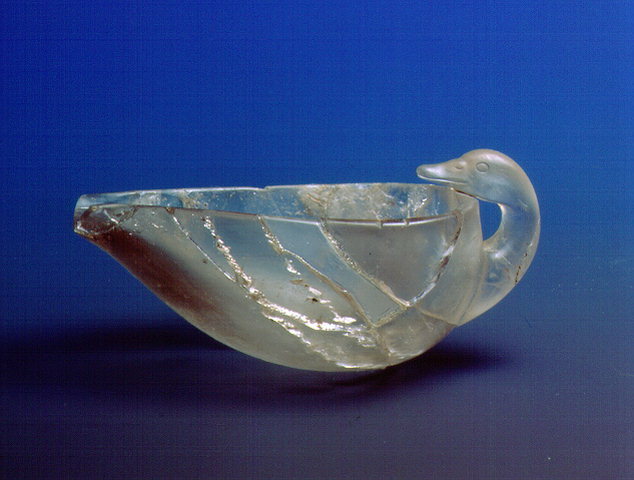 Oval bowl made of rock crystal, with an open spout and a handle in the form of a duck's head. It is a true masterpiece of Minoan stonework, found in Grave O of Grave Circle B at Mycenae. Dated to the 16th century B.C. Inv. no. 8638.